If you have been following my Instagram, you are probably well aware by now of my newest obsession with Hershey's Peppermint Bark Bells. One of the perks of being a food blogger is getting to try delicious new candies for free (and sometimes getting paid to do that as well). The Instagram posts I got paid for. I am not getting paid for. One of my fave things to do with them is to drop one of the Bells into a cup of hot chocolate or a mug of coffee- voila! Instant peppermint mocha or peppermint hot cocoa! My next favorite thing to do with them? 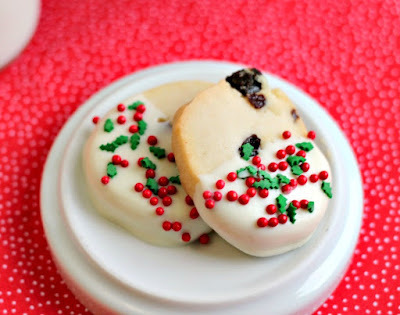 Baking these super easy French Vanilla Peppermint Bark Cookies. You all are probably familiar with the Andes chocolates version of these cookies made with devil's food cake mix (my favorite to use is this one from Six Sisters' Stuff). This is a tasty play on that classic recipe. 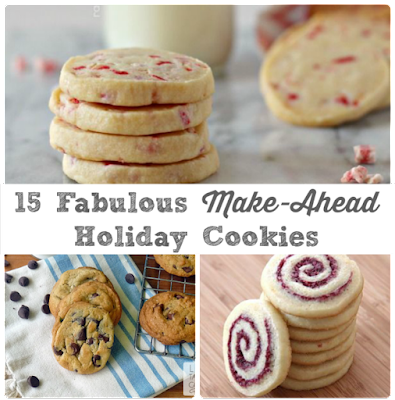 These cookies are so simple to make, but they definitely have that holiday wow factor. You WILL have people asking you all for the recipe for these. Preheat your oven to 350 degrees. Line a baking sheet with parchment paper or a silicone mat. Set aside. In a medium bowl, mix together the cake mix, canola oil, and egg. 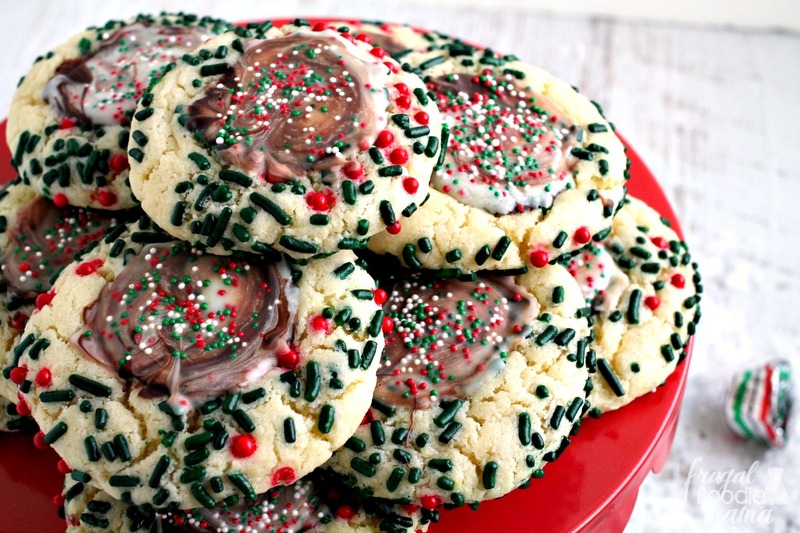 Spread the sprinkles out onto a small plate. Roll the dough into balls by rounded tablespoonfuls & then roll into the sprinkles. Place each cookie dough ball onto the prepared baking sheet & flatten each one slightly with the palm of your hand. Bake for 8-10 minutes. While the cookies are baking, unwrap your Hershey's Peppermint Bark Bells. 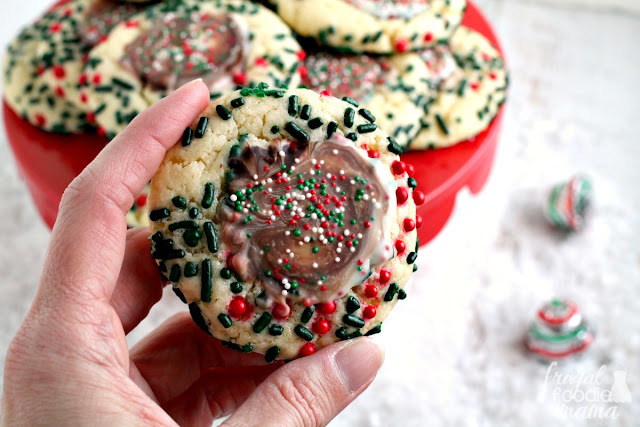 Remove from the oven, and immediately top each cookie with a Peppermint Bark Bell. Pop back into the oven for 45 seconds to 1 minute. 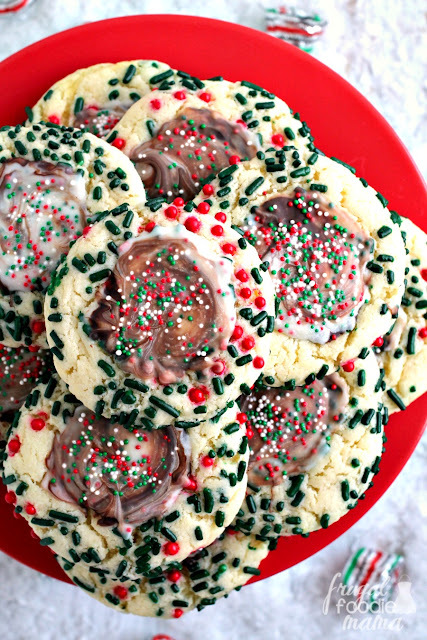 Take back out of the oven and immediately spread the melted Bells over top of each cookie like a frosting. 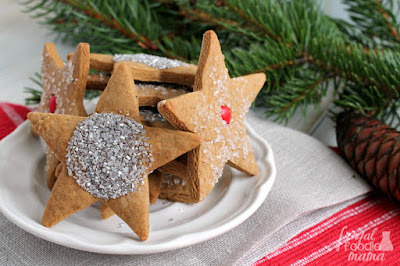 Sprinkle with additional Christmas sprinkles, if desired. ** Note: You can speed up the chocolate hardening process by popping the cookies into the refrigerator for 10 minutes. 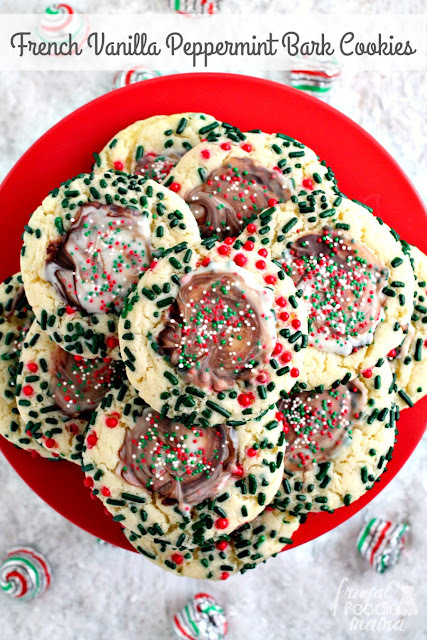 Have you tried the new Hershey's Peppermint Bark Bells yet? What is your favorite thing to do with them?